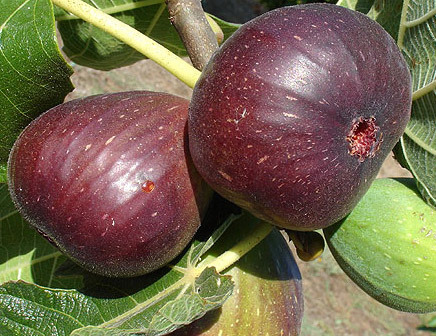 The Jordan fig tree is suitable for UK climates and has a succulent red large fruit with excellent taste to it. An early cropper so figs within the first year are possible. For best results plant in a sheltered but sunny spot and you should get a crop around August. This is of course dependent upon local weather and soil conditions. We supply our Jordan fig trees at 1.2m to 2.00 m and are 2-3 years old in a 12 Litre pot. The height you receive is base don time of year you purchase. They have a nasty habit of growing you know.